Since joining Salsify I’ve spent a lot of time getting to know our customers (I’m fortunate to have the job that I do) and the world in which they operate. In one of those conversations, Garrett Bluhm, who is currently the head of ecommerce at Hyland’s and was formerly on the ecommerce teams at global CPG powerhouses Unilever and Reckitt-Benckiser, walked me through some of the top tools he takes with him from job to job and would recommend to people in similar situations. When trying to wrap my head around content, I want to have a central repository for all of my basic content, specs, details, ingredients, and digital assets. Having worked with a number of “product catalogs” DAM’s and PIM’s in the past, I recognized the one tool that fills many of the gaps I had. Salsify fills a barrage of different needs. We use them for digital asset management, as a PIM solution that actually allows us to export our data into retailer specific templates, and templates for other channels such as Google Shopping. We’re also building out our product portfolio to enable the use of Salsify’s catalog feature, which will provide our sales teams a digital catalog with any and all information they need to send directly to buyers. 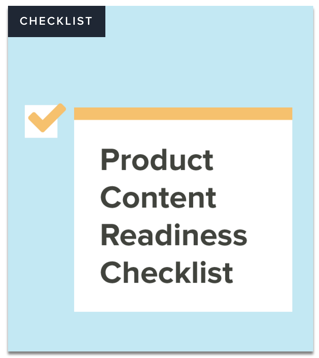 It takes weeks of time to get product content organized and then even more time to push it live to the multiple requests for data and content. Using Salsify helps us get to market faster. I saw it work when I was at Reckitt Benckiser, and it was the first tool I demanded we invest in when I came on board at Hyland’s. It’s exceptionally easy to use, no manual editing required – once you get up and running, you can just upload and map all of your data to meet the end need of your channel. You can do anything you want with the content once it’s in Salsify, it’s so flexible. This tool solves so many of the product content challenges we face, and it is extremely easy to use. It’s a single, central hub for our product content, anyone in the organization can access and use it. It allows mapping of content to meet the unique needs, sizes, and specs of each retailer. If you’re trying to better manage and create better content, I highly recommend Salsify as a starting point. Web Collage feeds this enhanced rich content to multiple online retailers, including Walmart.com, Target.com, Staples.com etc, and places this content directly on the product page within that retailer. Since being purchased by Answers.com, Web Collage has been able to leverage some of Answer’s other solutions such as Foresee’s data analytics. This has changed the tool from a “content feed” to an analytics mine where they report on what customers found useful or not, and can predict the % increase in conversion based on time spent reading content, video’s played, and number of interactions had on-site. Ken Au, Director of Ecommerce at Abt.com recently stated that the impact of rich content information had a page-visit-to-conversion ratio of +49% for the pages that had this enhanced content vs. those that did not. One of the best parts about Web Collage is their customer service and great staff. They are extremely loyal to their customers and will bend over backward for them. If you are investing in building A+ rich content for your e-commerce efforts, you should definitely look to Web Collage. As part of our review strategy, Bazaarvoice offers a great solution that ensures the same reviews that are on our site are fed or syndicated to our other online retail partners. We are in the beginning phases of initiating a transition to using Bazaarvoice. According to Bazaarvoice on multiple case studies, customer reviews are trusted 12x more than manufacturer content. I find this to be extremely accurate for me when I shop online. I tend to gravitate to the reviews, looking at the overall mood and ratings of the reviewers and diving into a few of the ones that capture my eye. With word of mouth being a primary factor behind 40% of all purchasing decisions, reviews are extremely important for us to ensure that potential customers are not swayed away to a competitor brand. Bazaarvoice has an amazing team and having worked with them in the past at Reckitt Benckiser, I am extremely confident in their service and quality. If you don’t have a good way to manage and spread your consumer-generated reviews in e-commerce, this is a tool you should consider. I was recently introduced to this tool by a colleague. When I first heard of it, I was first blown away by how cheap it was and what an amazing job it does of monitoring and tracking my product’s performance in search at Amazon. This search tracking tool is better than many of the other scraping tools out there that are much more expensive. Not only does AMZ Tracker offer a search ranking tracker for Amazon, but they also have a keyword research tool that provides several keyword choices to implement in content or use to run AMS campaigns. They also have an On-Page Analyzer, which identifies what keywords are present in your content, and notifies you if you are missing any of the recommended pieces of content on your product page. One of my favorite elements is the Amazon Review Club, which leverages free product offerings or discounted products for reviews at Amazon. I tried the tool for a week, and for the $50-$100/month fee it was a no-brainer. Anyone selling on Amazon should look into this tool, as it has great value in optimizing your content for SEO and tracking the success of your products as you do make updates to your content. One-Click Retail is a comprehensive data analytics company that turns the raw data from Amazon Vendor Central into a functional, useable, and detailed report for all parts of an organization. From top level share data for executives to detailed information for supply chain, they are the experts in the field and know Amazon inside and out. I especially like their SEO Audit reports that detail out top searched keywords for your products and identifies the number of times those keywords show the product detail page. They are a great tool to use once you have the baseline of content in the market. We are still establishing our foundation at Amazon in terms of formulating plans to limit out of stock issues, building and creating basic and enhanced content, and running review programs. Once we have these basics down, we will be signing up with One Click to help us ensure we are continuously improving our online portfolio. One-Click Retail also provides consultation meetings where they will help you build a plan to overcome any obstacles or challenges you are facing with Amazon. I highly recommend One-Click Retail to companies who have a decent base on Amazon and are looking to further optimize their efforts. What are the tools you need to maximize your brand's presence on the digital shelf?